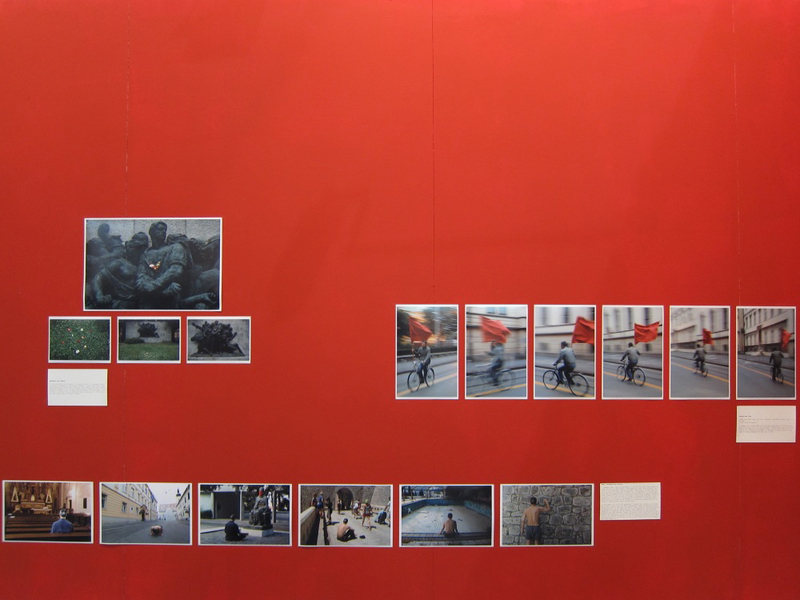 Igor Grubic has developed his artistic practice as an activist. He became known in 1998 through an action in which he paid homage to the RED PERISTYL group who had painted the ground in front of Diocletian's Palace in Split in 1968 in an act of provocation directed towards the Communist party. Thirty years later, he reactivated this gesture as a response to a different context in which nationalism and corruption are appearing in different countries of the former Communist bloc experiencing a period of transition.Igor Grubic was born in 1969 in Zagreb, Croatia. He lives and works in Zagreb. Igor Grubic has developed his artistic practice as an activist. He became known in 1998 through an action in which he paid homage to the RED PERISTYL group who had painted the ground in front of Diocletian’s Palace in Split in 1968 in an act of provocation directed towards the Communist party. Thirty years later, he reactivated this gesture as a response to a different context in which nationalism and corruption are appearing in different countries of the former Communist bloc experiencing a period of transition. Igor Grubic was born in 1969 in Zagreb, Croatia. He lives and works in Zagreb.